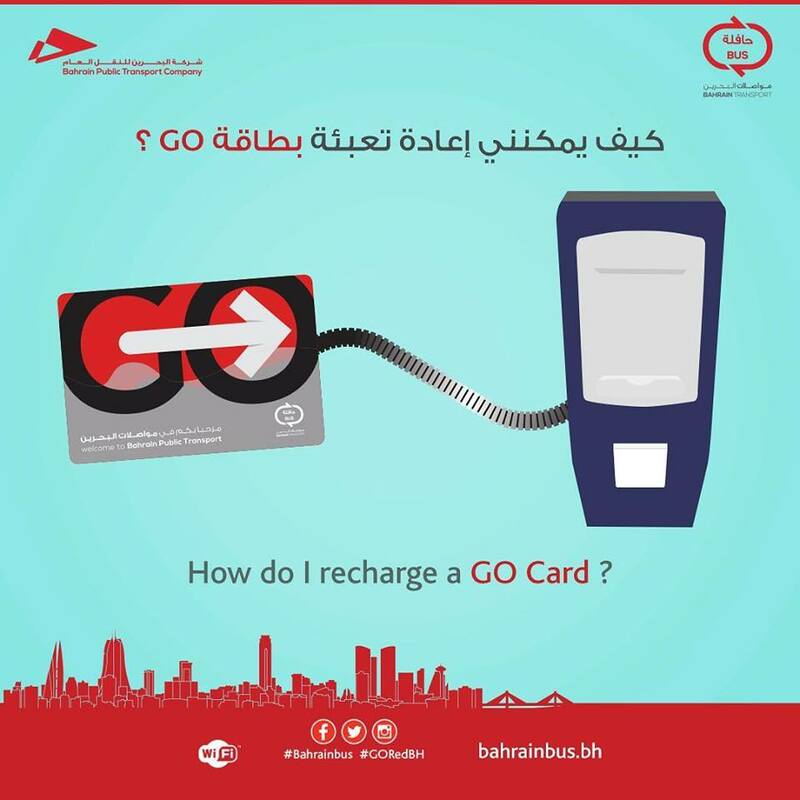 How do I recharge the GO Card ? GO Cards can be reloaded using the reloading machines on the buses , they can also be reloaded at all main bus terminals using the ticket vending machines or at the manned ticket offices. In the future alternative ways of reloading will be possible via the web, mobile phone and other shops. Ticket vending machines are also available in the Bahrain International Airport and in the University of Bahrain.